I just added over 300 pictures to shutterfly. 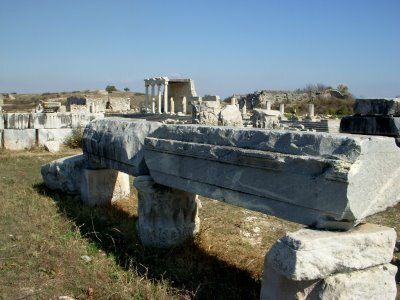 Along with visiting Didyma and the Temple of Apollo, Gram and I stopped at Miletus, once a major Roman city. A grand city is was that served as a harbor, the seashore is much further away today. 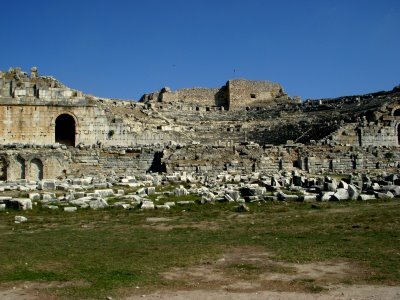 During the time of the first century the great theater was rebuilt to fit 15,000 people for entertainment. In the harbor stood two monumental lions and was called lion bay. The harbor where the lion monument was can be seen in the lower picture on the left, it’s the round shape. The bath house was truly a beautiful site in its day. 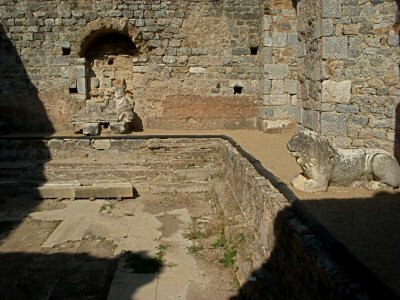 Interesting enough, the bath house or the Baths of Faustina was built for Emperor Marcus Aurelius’ wife. 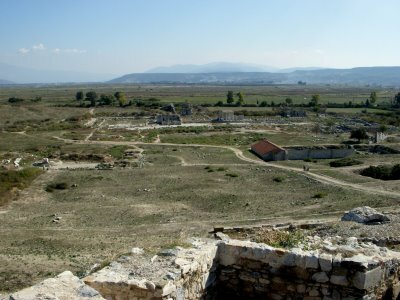 Visiting Miletus is worth while and a place where there is very few tourists. Previous post: An Island Update.